Like Julianne Moore’s Academy Award Winning role as Alice, a 50 year old Columbia University Professor in the film Still Alice, my ambitious Los Angeles-based sister Lydia has also shown signs of dementia, but hers is caused by FTD and not Early Alzheimer’s disease like in the adapted fictional novel by Lisa Genova, set in Cambridge. Lydia’s disease has caused her to lose her ability to communicate and read, which is horrifying for her as she has progressed through the awful journey she is still experiencing. In the film, Alice has three children who are possibly carrying the gene. In my sister’s case, she has no children and has been cared for by me and our parents who are in their late 70s. No one should have to go through what we did, so this collection of information is what my mom and I have gathered while trying to get help for Lydia while having to get her diagnosed after many delays, the lengthy process our mother had to navigate for getting my sister onto disability after losing her job during the 2008 banking fiasco, the numerous tests that Lydia had to endure….many doctors will incorrectly diagnose as schizophrenia and bi-polar disorder, wasting valuable time and brain-power. While the fictional Alice was a professor of linguistics, Lydia spoke multiple languages, yet, tragically, now she has a hard time with English. She earned a degree in Chemistry at California State University Northridge, and worked at Redken Laboratories while earning her MBA from California Lutheran University and then transitioned to financial services. 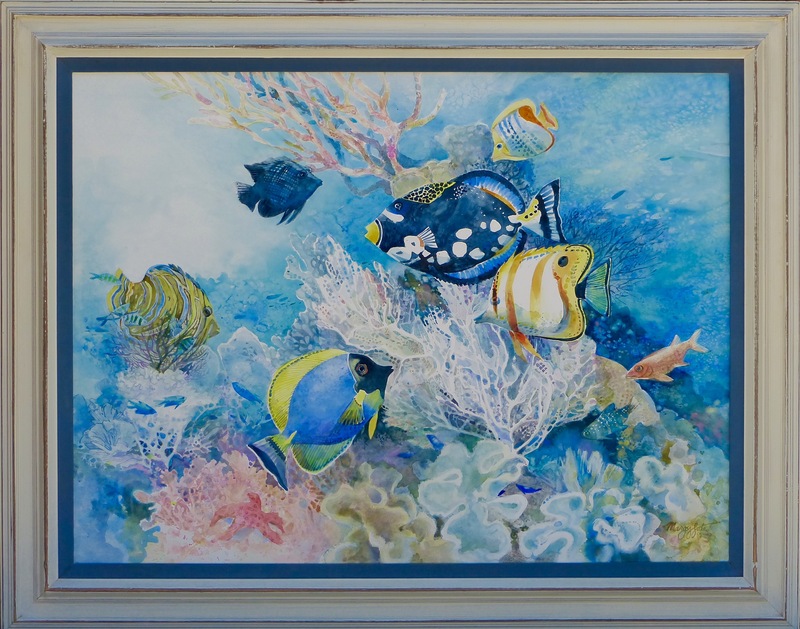 Like Alice in the movie, Lydia traveled world wide, with our family to Southern Europe and Australia and Asia, and by herself to Northern Europe and the South Pacific–including Fiji, the inspiration for the beautiful painting, Alison’s Reef II, generously donated by world-famous artist, Margy Gates to help us raise awareness for this awful disease. This entry was posted on August 11, 2015, in Uncategorized. Bookmark the permalink.